After scoring seven goals in his first two seasons on varsity, Bruno scored nine goals in the Lions’ first 10 games of 2018. 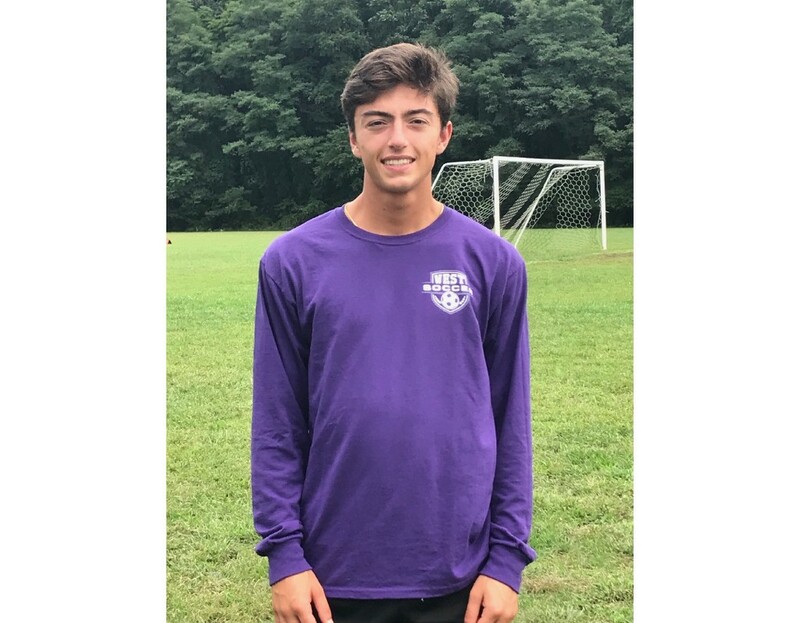 During his junior season in 2017, Zach Bruno scored two goals for Cherry Hill High School West boys soccer. One game into the 2018 season, Bruno had already doubled his goal total from last season. Bruno has emerged as one of the area’s top goal scorers in his senior year. In Cherry Hill West’s first 10 games of the season, Bruno tallied nine goals. This includes a four-goal game against Winslow Township High School in the opening game of the season. Bruno’s game is about more than scoring. He is in his second season as a caption for the Lions and has become one of the core pieces in the team’s midfield. Head coach Dan Butler complimented Bruno’s aggressiveness and ability to lift his teammates through his level of play. Bruno joined the varsity team as a freshman when he was placed on the roster for the team’s postseason run. In Bruno’s first full year on varsity, injuries to his teammates forced him to play in multiple spots in the midfield. Despite this challenge, Bruno had a strong season with five goals and six assists. One of Bruno’s 2016 goals came in the South Jersey Coaches Association Tournament Semifinals, where the Lions defeated Rancocas Valley Regional High School, 3–2, en route to winning the tournament. Bruno scored the first goal of the game for the Lions. Cherry Hill West saw its win total drop from 20 in 2016 to 10 last year in what Bruno described as a disappointing season. In his second year as a captain, Bruno said he has been pushing his teammates to get the program back to where it was two years ago. “We worked a lot harder in preseason and we’re doing our best to make it like the sophomore season I had,” he said. Butler has been impressed with how Bruno has become a stronger leader in 2018. When asked about his breakout on offense this year, Bruno doesn’t want to take the credit. He instead talks of how the improved play of the team overall has allowed him to tally nine goals. With Bruno leading the way, Cherry Hill West won seven of its first 10 games and the Lions are in the hunt to qualify for the Coaches Tournament, where the team hopes to make a run similar to what it did in 2016.